Westwood Village home to UCLA in Los Angeles California . Luxurious High rises along the Wilshire Corridor and many price ranges of beautiful California residential homes all in one unique area. First of all this area is centrally located close to Beverly Hills, Brentwood, Bel Air, Santa Monica, Rancho Park ,Cheviot Hills, and Hollywood. Also you are within 5 minutes to the 10 and 405 freeway, linking to so many other communities. Additionally there are great parks !Holmby Park, Westwood Recreation Center and Veterans Park otherwise known as Aidan’s Park, Cheviot Hills Recreation Center and Rancho Park. Amazingly there are so many restaurants and theaters .What makes Westwood so great? With close access to UCLA, explore theaters , art collections at Armand Hammer Museum, Annenberg Space for Photography & Fowler Museum. There are exhibits and sports performances at UCLA The farmers market is held on Thursdays . Noteworthy are many churches and Temples in the area. Ronald Regan UCLA Medial Center is in the heart of the area. Many celebrities have lived in the area. The Pierce Brothers Westwood Village Memorial Park Cemetery is located in Westwood where Marilyn Monroe is buried. Additionally the average residential single family home in Westwood is around 1 million dollars. Prices continue to move up in this area . Many smaller homes are being torn down and larger homes are being built. You can rent or buy homes and condominiums in all price ranges. 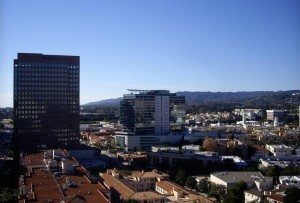 Furthermore condominiums along the Wilshire Corridor are available in many price ranges . Condominiums are a great way to live in the heart of one of the most central locations in L.A. Luxury Condominiums in Los Angeles abound along the Wilshire Corridor. Additionally, there are low rise, town home and duplexes as well. Looking to buy, sell or lease ? I can assist you! Westwood Village home to UCLA is an area with a lot to choose.